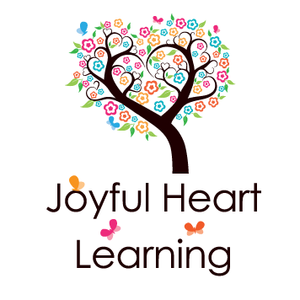 The following are descriptions and printables for some of the activities used within the Joyful Heart Bible and Rhyme Lessons. Scripture memory is a key element in the Joyful Heart preschool curriculum. The verses have been chosen to coordinate with the Weekly Bible Story. Each Joyful Heart Tune Chart (Bible Memory Chart) has a picture and a song tune associated with it in order to aid comprehension and memorization for the visual and auditory learners. Most have simple sign language to be used for kinesthetic learners as well. Below are the verses to be memorized. The Picture Review Sheets are intended to be used in two ways. First, when each sheet is introduced and displayed for the week, it is used as a way to make a connection to the Bible Story, Nursery Rhyme, and Focus Letter. Second, when hole punched and added to the Joyful Heart Rhyme Time binder, it is a means for visual review during the remainder of the year. The following PDF contains flashcards that correspond with the picture review sheets for each week. I printed them, cut them apart, and then glued them back to back. For example, 'Aa' went on the back of the picture of Adam. You will probably want to laminate them for greater durability. These are great for review of the letters and sounds studied. Once or twice a week, we will go through each of the cards. My child says the name of the letter. We then turn the flashcard over and practice the sound of the letter and sing the corresponding Letter Song and do the accompanying movements. The ideas for this section came from a visitor who has implemented Bible and Rhyme with her child in Panama -Jana Crizon. Thanks for sharing, Jana! These are sheets and simple projects to illustrate each week's corresponding letter song. The following are printable sheets for your child to place their song crafts on. You can place these in a 3 prong pocket folder to create a Letter Song Craft Book and to use as additional review. The first Letter Song Craft (for Aa) is shown below, but photos of each craft can be found on the corresponding weeks. Aa - Adam ate an apple. Letter Song Craft Sheet Aa : Make an apple. Letter Song Craft Sheet Bb : Form a boat. Letter Song Craft Sheet Cc - counting kids : Stick on some kid stickers or draw stick kids. Letter Song Craft Sheet Dd : Construct a pot of stew. Letter Song Craft Sheet Ee : Fill in the colors for Joseph's coat. Letter Song Craft Sheet Ff : Form the pillars that the people followed. Letter Song Craft Sheet Gg : Make a stoplight. Letter Song Craft Sheet Hh : Make a horn. Letter Song Craft Sheet Ii : Make David's sling shot. Letter Song Craft Sheet Jj : Add a photo of your child jumping. Letter Song Craft Sheet Kk : Make a king's crown. Letter Song Craft Sheet Ll : Make a face with large 'listening' ears. Letter Song Craft Sheet Mm : Create a fish. Letter Song Craft Sheet Nn : Form a nativity scene / manger with craft sticks. Letter Song Craft Sheet Oo : Construct a candle. Letter Song Craft Sheet Pp : Build a popsicle stick house. Letter Song Craft Sheet Qq : Make quiet lips and finger prints to signal 'shh' or make pop out praying hands. Letter Song Craft Sheet Rr : Create coin rubbings or trace your child's hand and stamp coins. Letter Song Craft Sheet Ss : Glue on some seeds. Letter Song Craft Sheet Tt : Attach some band aids. Letter Song Craft Sheet Uu : Make a handprint lamb or a cottonball lamb under a table. Letter Song Craft Sheet Vv : Create vehicle prints. Letter Song Craft Sheet Ww : Attach, draw, or paint two friends holding hands. Letter Song Craft Sheet Yy : Make a stone and tomb 'He has risen' craft. Letter Song Craft Sheet Zz : Do a crayon resist. Phonemic Awareness is the ability to hear and manipulate sounds in spoken language. It is different from phonics in that phonics involves making connections between sounds and print. It is a foundation for future or concurrent phonics instruction. Phonemic Awareness is concerned with just the sounds and is done orally. It is often taught through nursery rhymes and stories, silly songs and movement, the use of puppets, and with picture cards. Below is a typical sequence for teaching phonemic awareness and a few ideas to implement the teaching of each skill. Each Weekly Bible and Rhyme Web Plan contains specific activities for incorporating phonemic awareness skills. Skills with a star next to them indicate that they will be introduced and focused on in the Joyful Heart Bible and Rhyme curriculum. Oddity Tasks – exp, "Which picture rhymes with bat?" "Which picture does not rhyme? (cat, pig, hat) "
Oddity Tasks — exp. Which picture does not begin with the same sound? Use riddles. Exp. I'm thinking of an animal. It is a /d/ og. What am I thinking of? Dog! Sort pictures by their beginning, ending, or medial sound. Place several objects in a box. Distinguish which objects in the box begin with the same sound. (or end, or contain the same middle sound). Oddity Tasks — exp. Which two pictures begin with the same sound, end with the same sound, or have the same middle sound? Play a simple memory type game in which there are two pictures for each (beginning, middle, or ending) sound you want to focus on. Sort picture cards into two categories (according to whether a certain sound is heard at the beginning of a word or at the end of a word. ) Exp. Pictures of a car and pear would be in one pile and pictures of a rake, roof, and rattle would be in another. Say three words that contain a certain sound in the same position (beginning, medial, or ending). What sound is the same in each of the words? Exp. If the words are 'shake, share, ship', the child would respond with /sh/. Use a simple clipart of a train with an engine, one middle car, and a caboose. Say a sound, such as /m/. Then say a word, such as 'jam'. Ask the child to place a toy animal or some other type of marker on the train car in which the sound was heard – at the beginning, middle, or end. Say a word. Clap (or some other movement) the number of sounds that you hear. (Exp. For the word 'cat', stretch out the sounds /c/ /aaaaaa/ /t/ and the child would clap three times. Use instruments to count phonemes (drum, maracas, rhythm sticks). Lay out numeral cards – 1 through 4. Sort picture cards according to how many sounds are heard in the name of the picture. Exp. The picture of a cat (/c/ /a/ /t/) would go under the numeral 3, but the picture of a bee (/b/ /ee/) would go under the numeral 2. Repeat the above activity, except use real objects and a graph. Say a word. Have the child move a manipulative (blocks, pennies, tokens, shaped erasers, etc.) into one box of a five boxed set for each sound that they hear in the word. Exp. For the word 'pack' /p/ /a/ /k/, they would place one manipulative in each of three boxes. When they counted the manipulatives, they would have a total of three – representing that they heard three sounds in the word. Repeat the above activity, but have the child attach clothespins to the five boxed set. Say a word. Have the child hop (or any other movement) and make the individual sounds for the number of sounds they hear. For example, for the word 'go', they would hop two times as they orally break apart the word into individual sounds /g/ /o/. Say a word. Have the child link cubes or chain links together to signify the number of sounds heard in the word. Then ask them to take off one cube or link as they orally say each sound. Have a puppet say a word. Have the child repeat the word slowly, breaking it up into individual sounds. Say a word with two to 5 sounds. Have the child repeat the word slowly, placing his/her hands on their head, shoulders, waist, knees, and toes for each sound. Show various pictures. Have a puppet say the name of one of the pictures, omitting one of the sounds. Let the child point to and say the name of the picture the puppet was trying to say. For example. Say there are pictures of a hat, rake, duck, and chain. Tell the child that the puppet often misses the beginning sound in words. If the puppet says 'at' , the child would say 'hat'. Have a puppet say a word. Ask the child to repeat the word, but without the first sound (or last). For example: The puppet could say the word 'lock' and the child would say 'ock' (initial deletion) or the puppet could say 'seat' and the child would say 'sea' (ending deletion). Use different sounds at the beginning of the child's name to create a new, funny name. For example, for the name 'Megan' ask her to change the first sound to a /s/ and she would say 'Segan'! Sing the ABC song, singing the names ofthe letters. Sing the ABC song, singing the sounds of the letters. Chant (with a picture chart as a visual) 'Aa, /a/', apple etc. Hop on the corresponding letter square as each letter (or sound) is said. Toss a bean bag on the corresponding letter square as each letter (or sound) is said. Make a movement for each letter as it is being said or pointed to (repeating the same movement for each letter) For example, clapping, touching head, moving arms across the chest, standing up and squatting down, bouncing a ball, jumping in and out of a hoop, etc. The letter links, listed below, will take you to printable letter outlines. Have children decorate as suggested in the Weekly Bible and Rhyme Web Plans. As children are creating each one, encourage conversation about the corresponding letter name and the beginning sound made by the objects/materials being attached. As each letter is introduced, it is important to focus on the certain characteristics that make up that particular letter. For example, is the letter rounded/curved, does it have a straight stick, are their diagonal lines, etc. For the Bible and Rhyme curriculum, students will be sorting the uppercase from the lowercase as well as sorting and distinguishing between the letter they are studying and other letters. By using a variety of fonts, children will also be getting accustomed to how they will eventually be reading and needing to recognize the letters in context of newspapers, textbooks, advertisements, food labels, etc. Environmental print is print that is all around us. We are immersed in print everywhere we go! Environmental print is on the food and product labels in our cupboards, the names of our favorite restaurants and stores, on billboards, on traffic signs, in magazine and newspaper advertisements, and part of coupons. It is often the first print children recognize and read! Who hasn't known a toddler who spies those golden arches and the big M and blurts out "McDonalds"!? Take the time to play 'I Spy' anytime while running errands, putting groceries away, walking in the neighborhood, etc. See which things your child can 'read' or search for letters in the environmental print! Make an "I Can Read" bulletin board. For each focus letter, share a piece of environmental print that begins with that letter. For example, for 'Ww', you may want to show a Wendy's bag. Ask your child 'Can you read this?' Then let your child hunt for other print to add to the I Can Read board - at least one piece each week. Take time to reread the board and watch your child's confidence and 'can do attitude' soar! Make an ABC book of environmental print. Make environmental print puzzles by cutting discarded food boxes. Photos and names of family members and friends are added to the Friend and Family Name Wall as each focus letter is introduced. The names are added when they begin with the same letter as the focus letter for the week. For example, when the focus letter is 'Mm', the names 'Mommy' and 'Melissa' are added to the wall. Here are some simple ideas to use with preschoolers as a new name is added to the name wall. Pray for the individual as their name is added. Stress that the first letter in a name is always uppercase. Hunt for the corresponding lowercase letter in the other names already on display. For review, point and read all of the names on the Friend and Family Name Wall. At the end of the year, place all of the names and picture cards in a Flip and Match book. If wall space is not available, print out the following sheets and place them in a 'Friend and Family Name Binder' instead! Attach a photo of your child to personlaize it. While teaching at a kindergarten center, all of the teachers had set up what they called 'Imagination Stations'. An imagination station is a place where there are a variety of materials and children can use them in any way they wish to create their own masterpieces and inventions! What fun for a preschooler as well! Below are some items you may wish to include in your own Imagination Art Station! A curriculum plan for preschoolers should have ample time for free and structured play. Manipulatives are small objects that help develop a child's fine motor skills. Manipulatives such as the following are especially good to use when there is a short, structuredbreak between lessons. There are many more great toys and manipulatives available! The manipulatives mentioned below, and others , should be provided during other times of play as well. These are a few activities that you can do daily in conjunction with the calendar for this age level. Talk about what day of the week it is and sing 'Seven Days'. In a week. In a week. Place a yellow card behind today's date, a red card behind yesterday's date, and a green card behind tomorrow's date. Point to each numeral on the calendar, up to today's date, and count orally. Repeat, only this time, do a movement for each day, such as hop each time, or slap, clap, slap, clap, etc. Gradually increase the difficulty of the movement pattern.